Kobo has announced four new pieces of hardware, including three tablets and an e-reader, that aim to propel the Canadian company into the same leagues as Amazon. The Kobo Aura is the company’s newest e-reader flagship, with a 6-inch display and a smaller bezel than Amazon’s Paperwhite. It boasts improved viewing angles, a capacitive touchscreen digitizer that has been fused to the e-ink display for better contrast and touch response, and integration with Pocket, the service previously known as Read It Later. In fact, the entire Kobo ecosystem will become integrated with Pocket in mid-September, which will let users read content from the bookmarking/archiving service on their devices. Perhaps more impressive than the Aura is the Arc10HD, a 10-inch Tegra 4-powered tablet with a 2560×1600 pixel display, 2GB of RAM, running Android 4.2.2. The device (seen above) looks to be fairly sleek, and includes access to Kobo’s growing book and magazine ecosystem alongside the existing Google Play Store content. 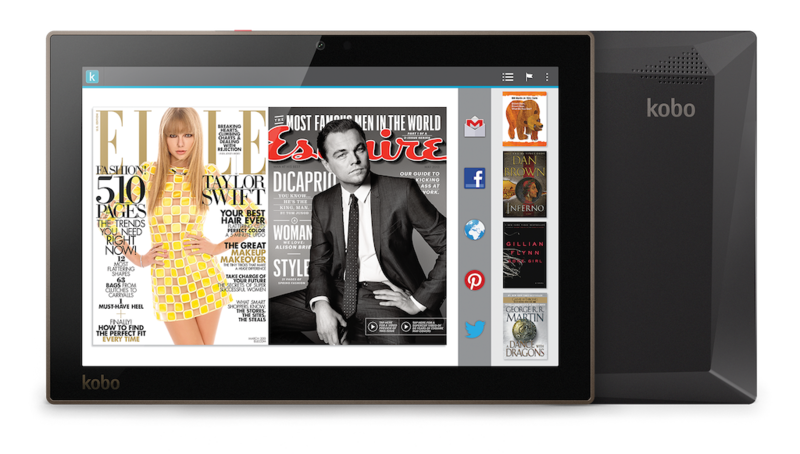 Kobo is also unveiling two 7-inch e-readers, the Arc7 and Arc7HD. Both tablets evolve the former Arc design into something thinner and lighter, but the HD version is really the one to look out for. It has a 1920×1200 pixel display, a Tegra 3 processor, 1GB of RAM, 16-32GB of storage and an eight hour battery. The Arc7 has a 1024×600 pixel display, a quad-core MediaTek processor and 1GB of RAM. The Kobo Aura will retail for $150, while the Arc7 and Arc7HD will come in between $149, $199 and $249 depending on storage size. The Arc10HD will retail for an understandable $399. Whether it’s a better purchase than the Nexus 10, which retails for the same amount, remains to be seen.